Chrome plated brass tap to BS5412. 13L/min at 0.1 bar working pressure. Includes back nuts and washers, 1.5m chrome plated brass hose, plastic wall bracket and handset. 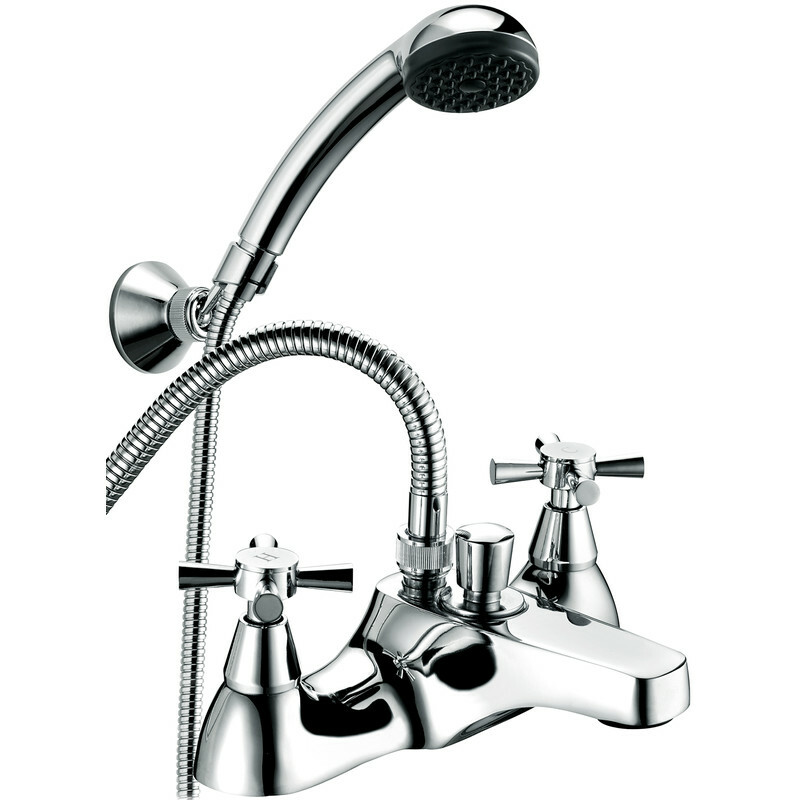 Deva Milan Bath Shower Mixer Tap is rated 4.3 out of 5 by 4. Rated 3 out of 5 by A DIY customer from Not great Bought this last week to replace existing ceramic taps. A feature that was mportant to me was for handles that could be easily gripped by someone with arthritis. First set was faulty (one tap wouldnt turn) luckily I checked before plumber arrived. Toolstation were super efficient at sorting out a replacement when the product wasn't in stock. The taps look fine and work fine, but they do not feel like great quality. It's hard to describe unless you see the product yourself. Two annoying things I found with the taps are- the c for cold printed is upside down, only realised after the taps were installed. At first I thought I'd screwed the tops on wrong, but no matter which way it's screwed on its still upside down! The second was the tops of the taps seem to unscrew themselves during use, very annoying. The accompanying shower head wasn't of great quality either so replaced that with our old one. I've bought the matching basin taps which also have the upside down 'c' feature. Decided to keep them as uninstalling is too much bother as well as the cost of getting a plumber out again. To summarise it does the job it's supposed to do but with annoying little niggles! Rated 5 out of 5 by gumbie from Excellent Control we live in a country area with quite low water pressure. This unit replaced one which had quarter turn taps, supplied with bathroom set. We can now control water temperatures very easily. Nice unit. Rated 4 out of 5 by peterr from Deva bath shower mixer The bath shower mixer is a good quality product at a reasonable price with good controls and operates better than our previous mixer. It is also very easy to clean as we live in a hard water area. The only thing that was not quality was the poor cheap handset supplied with the product As you can see by my sales account a upgraded one has been purchased.